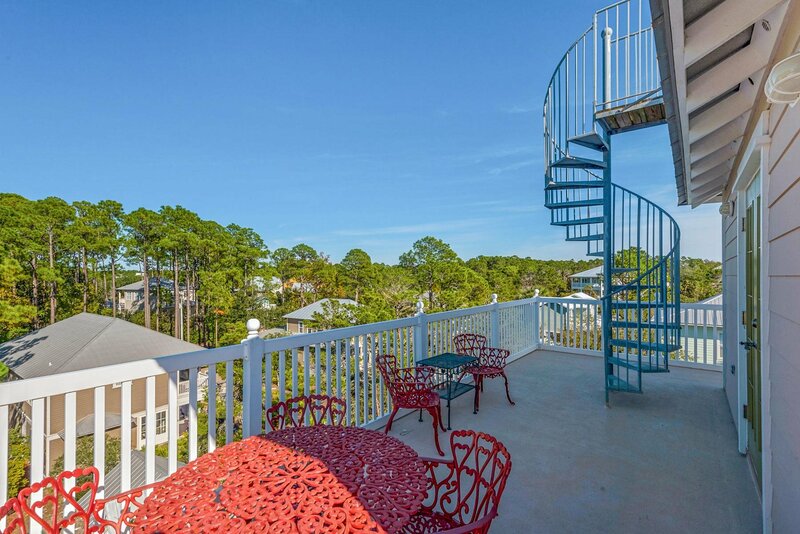 You can't get any closer to Seaside than this! 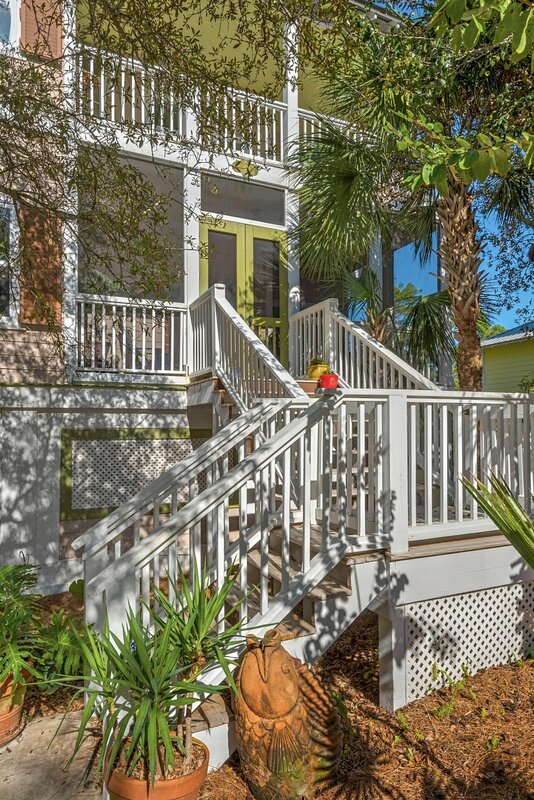 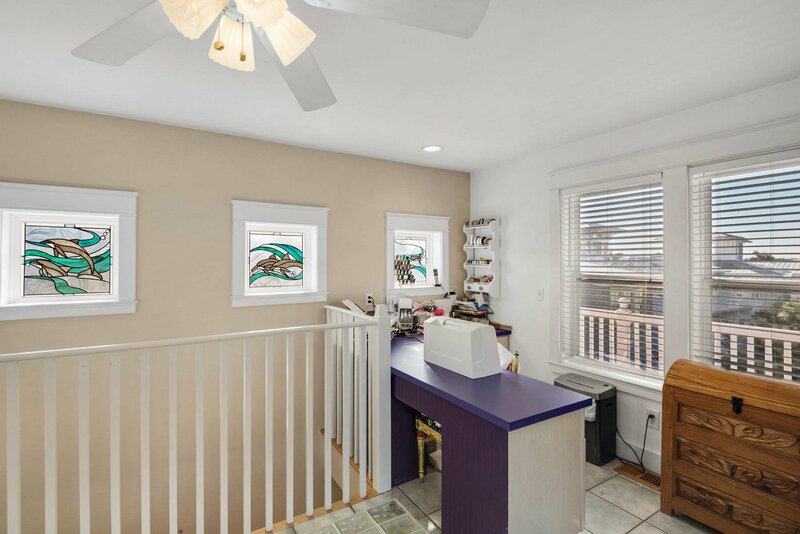 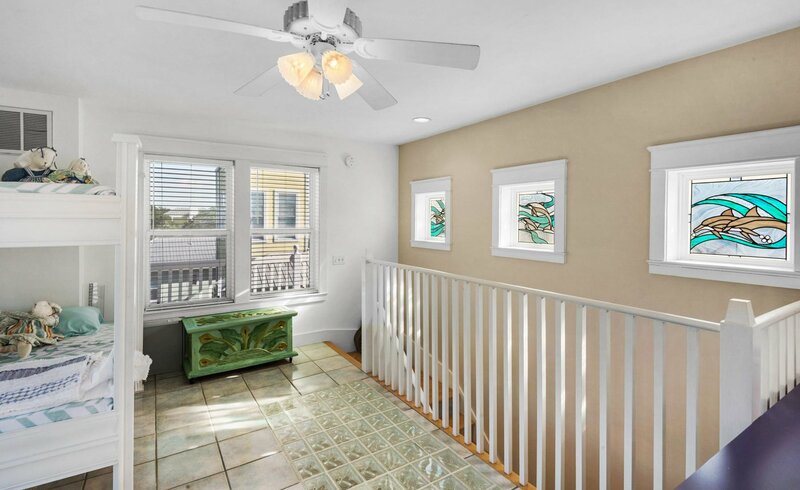 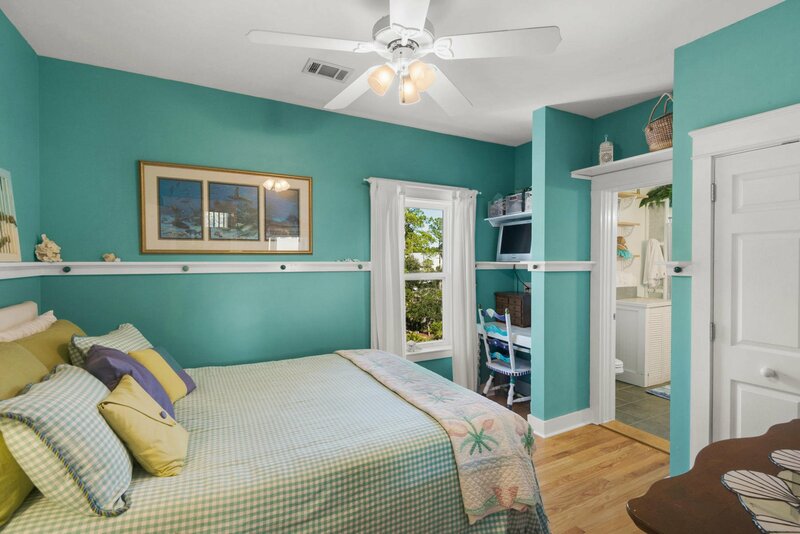 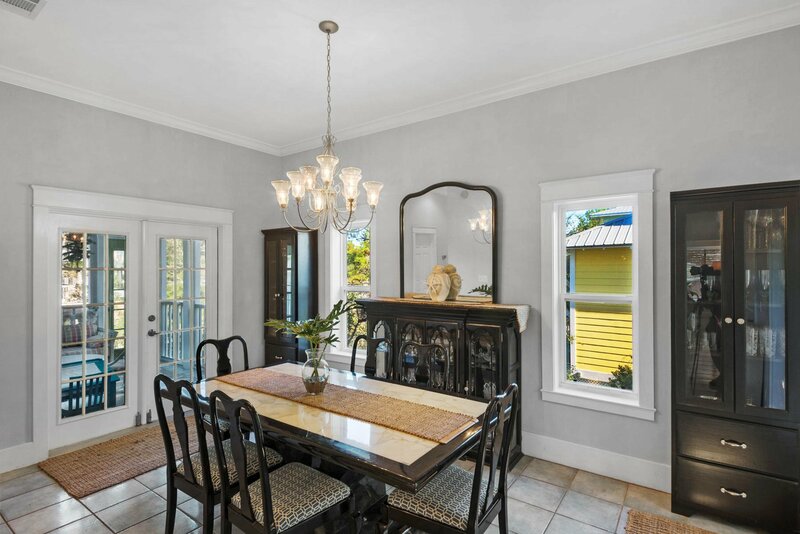 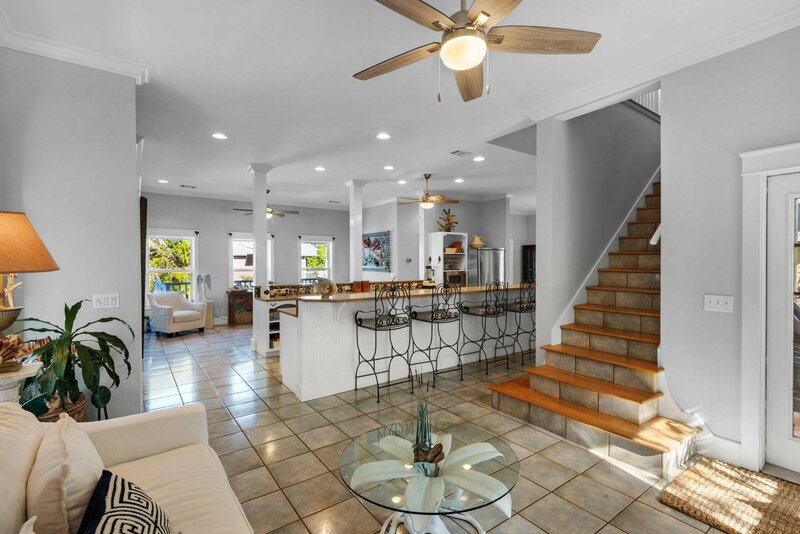 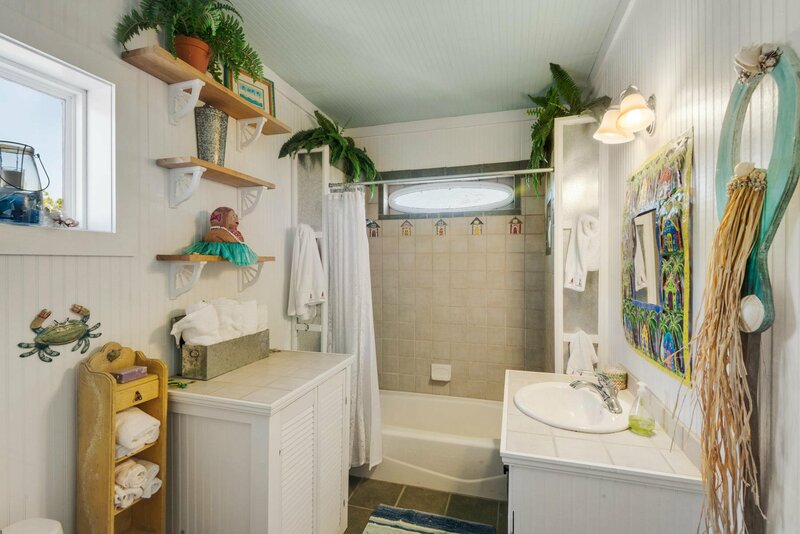 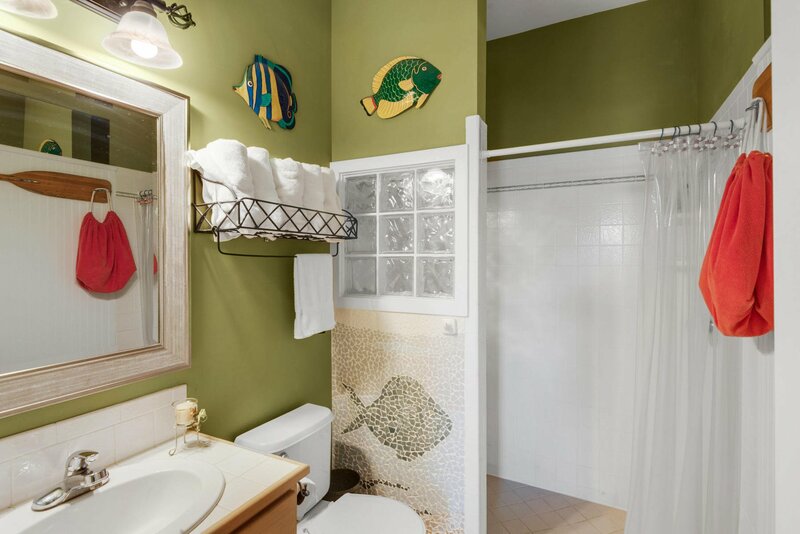 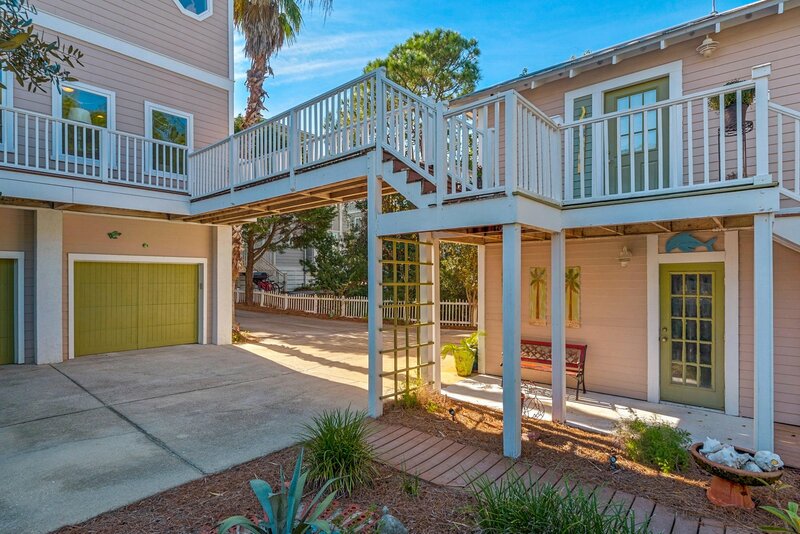 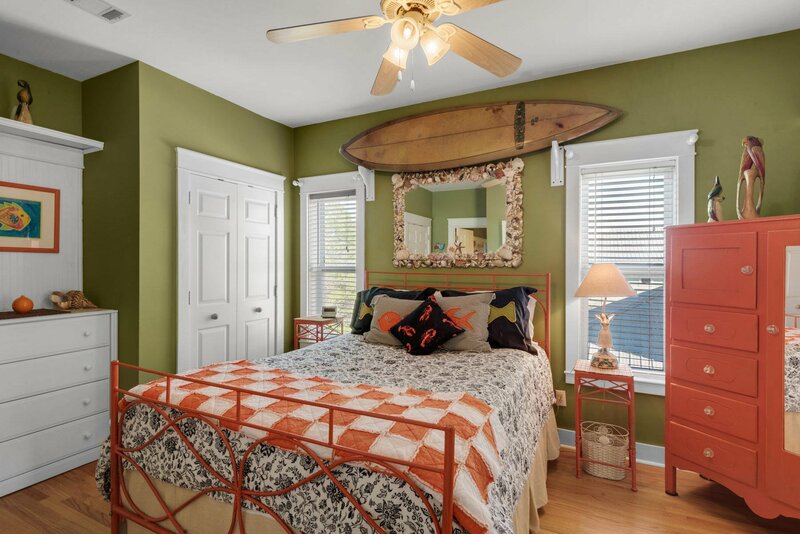 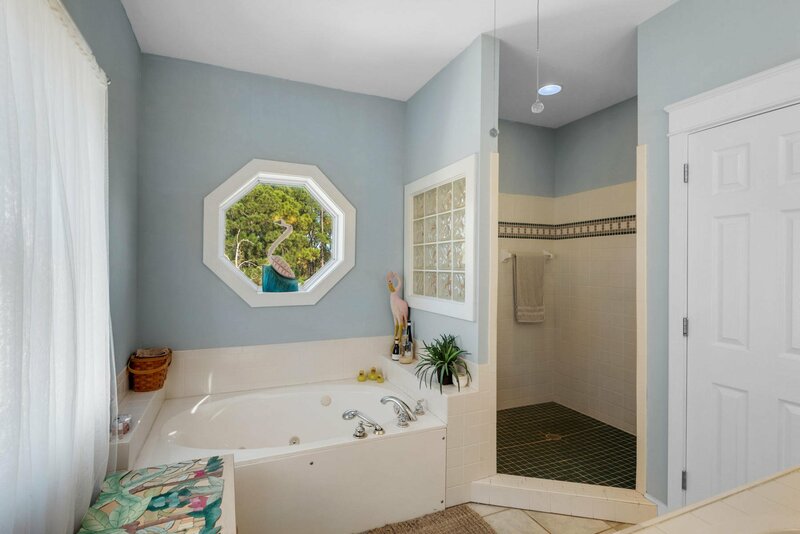 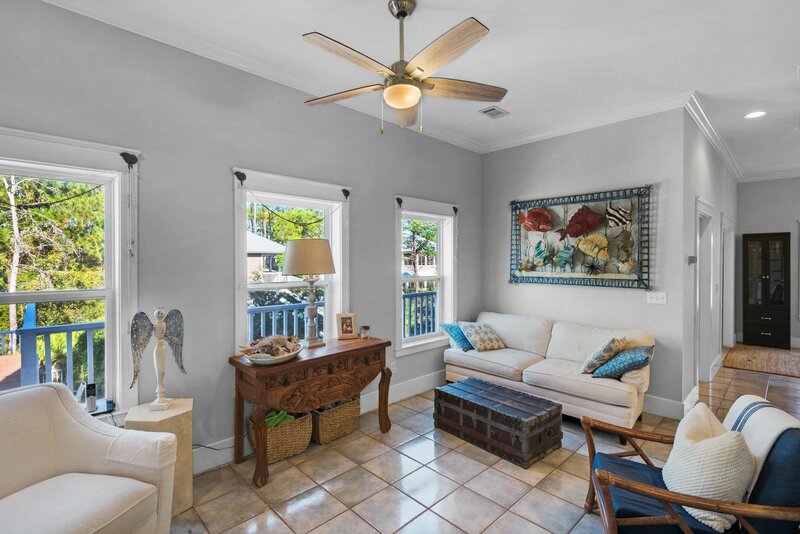 This home has all of Seaside's charm without any HOA dues or restrictions, offering the best of both worlds. 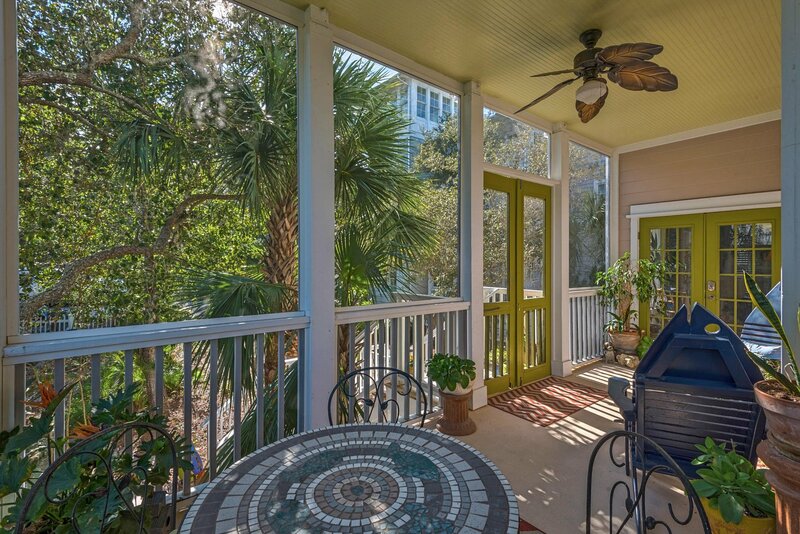 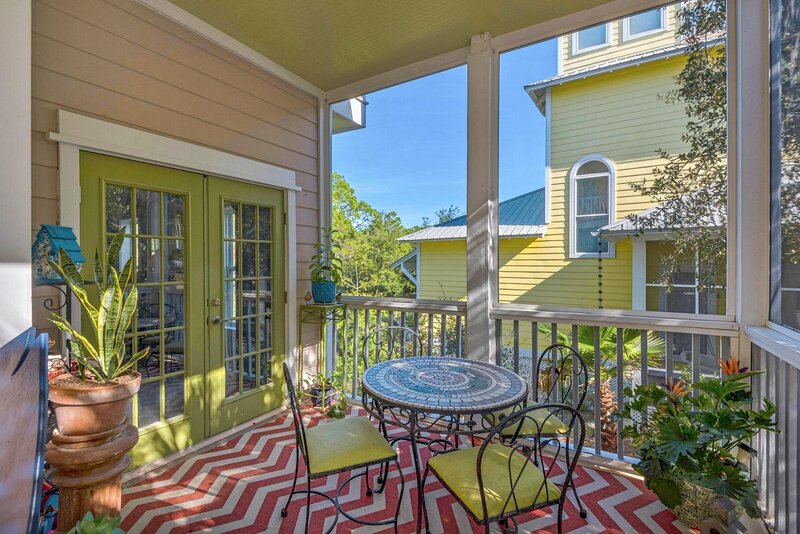 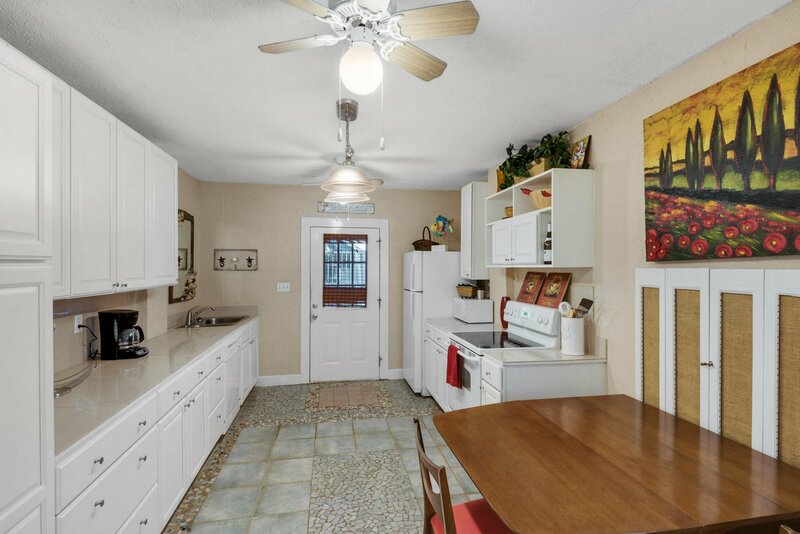 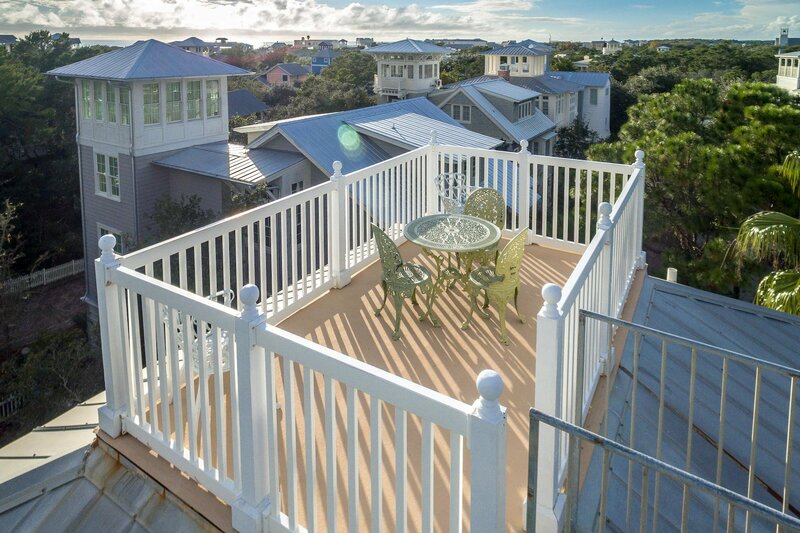 The shops, dining, and entertainment of Seaside are truly steps away to this Seagrove location. 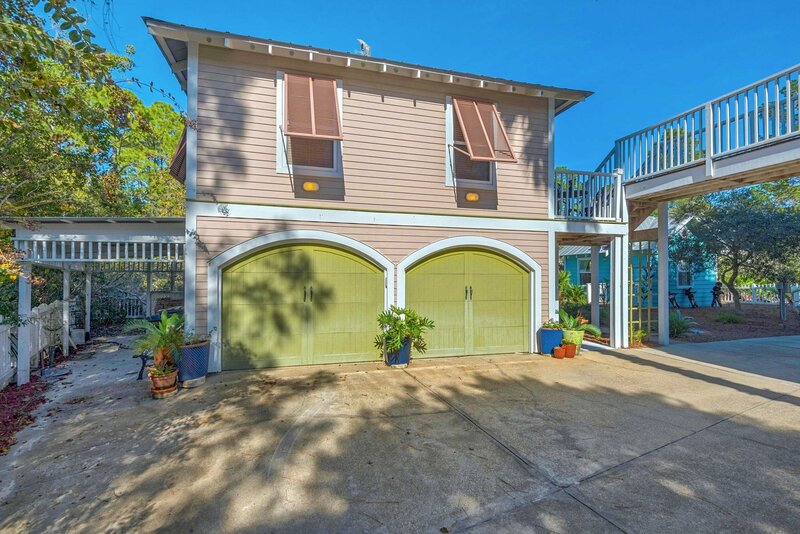 It boasts an overabundance of parking-a rarity in this area - and the lot is HUGE, with plenty of room for a large pool and even more outdoor living space. 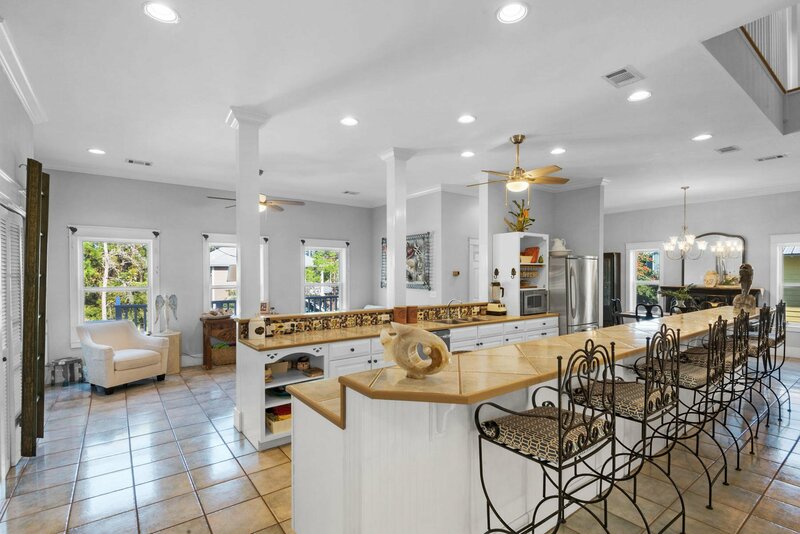 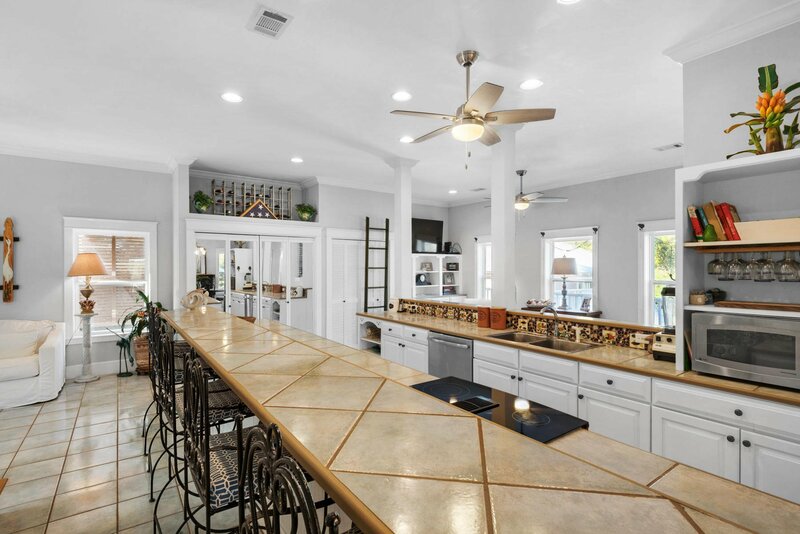 The main house is an ENTERTAINER'S DREAM with a large kitchen open to the living, dining, and family rooms on the main floor, along with a full bath and multiple porches, giving great space to enjoy the lushly landscaped setting. 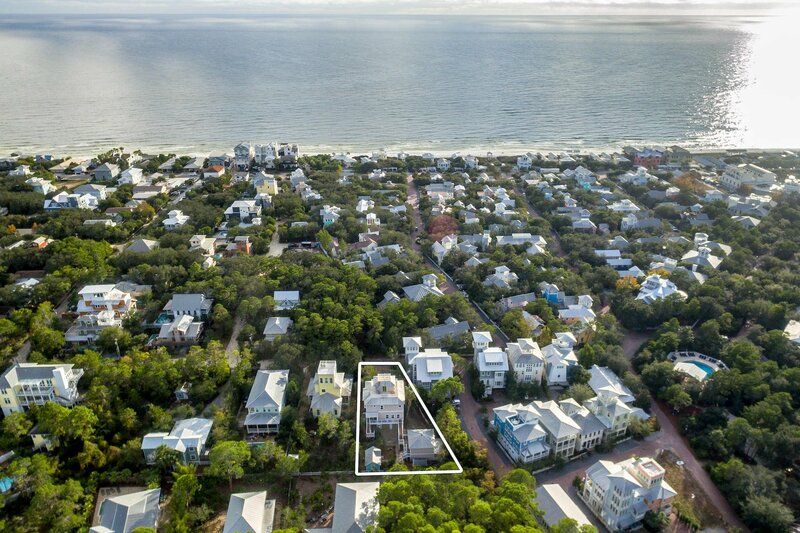 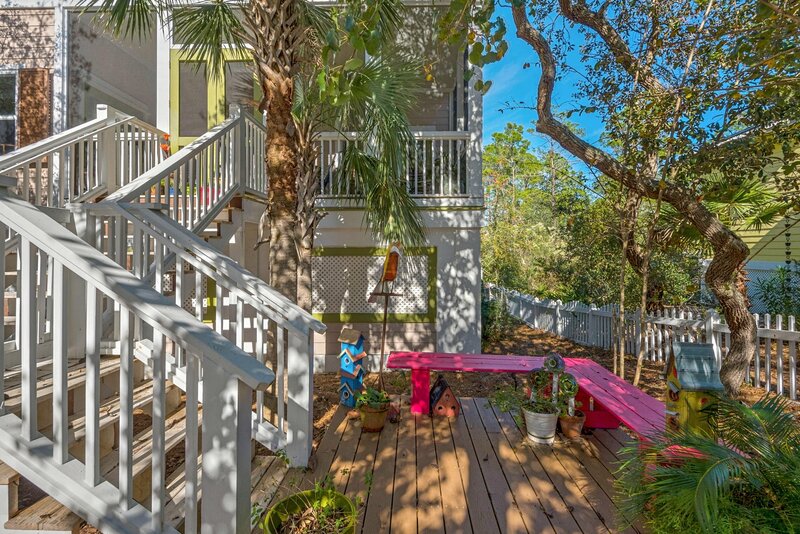 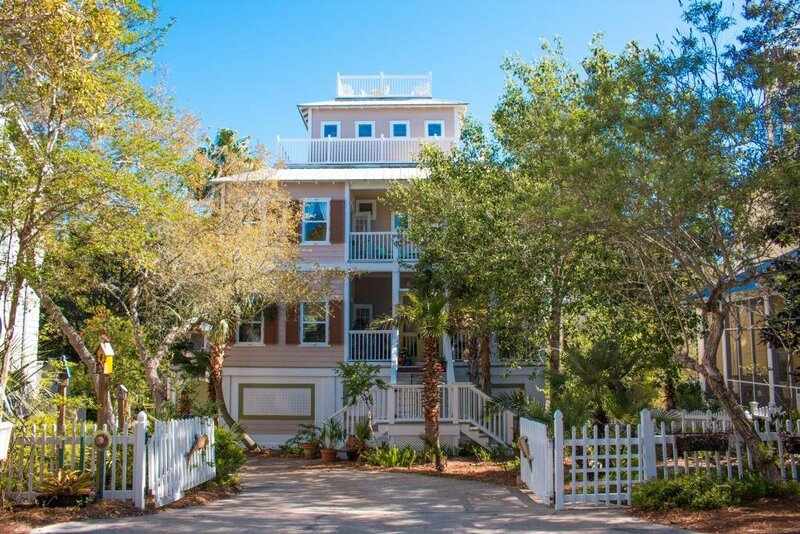 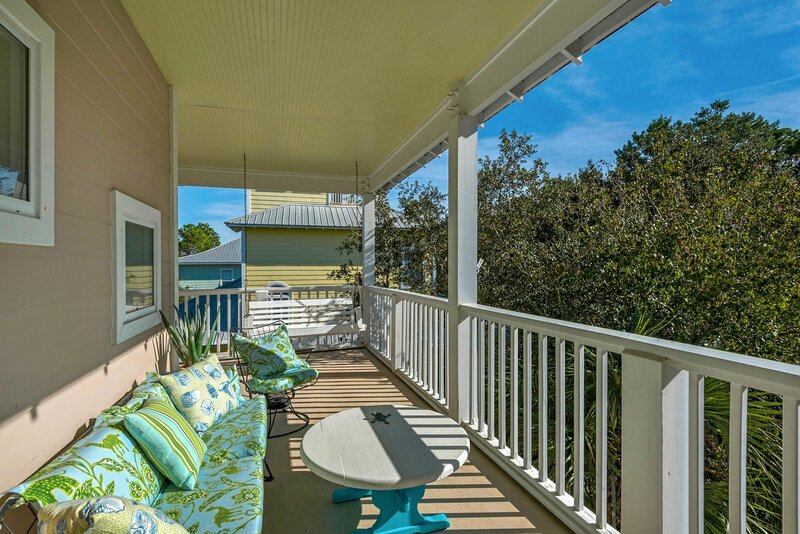 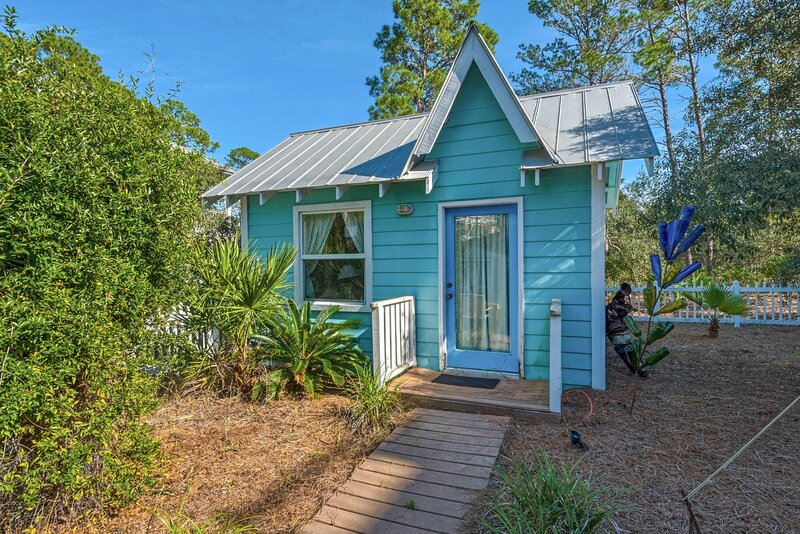 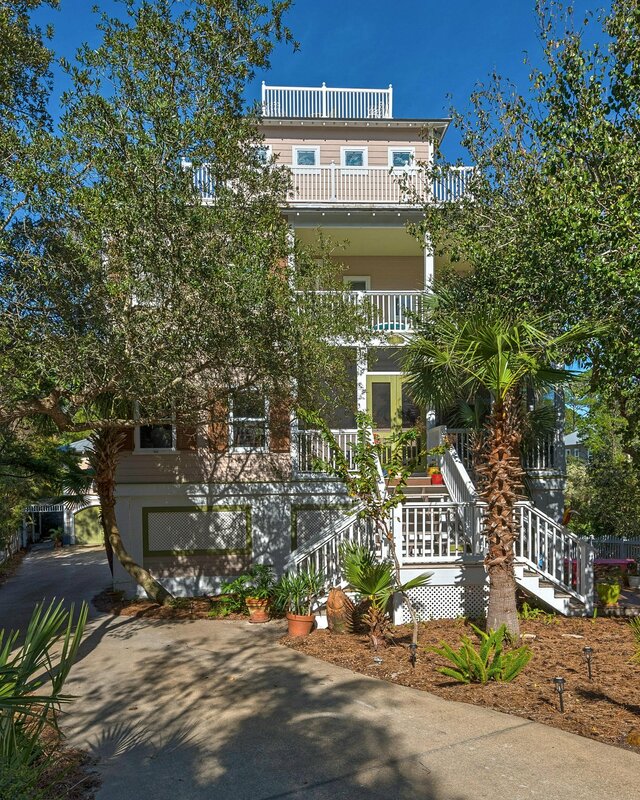 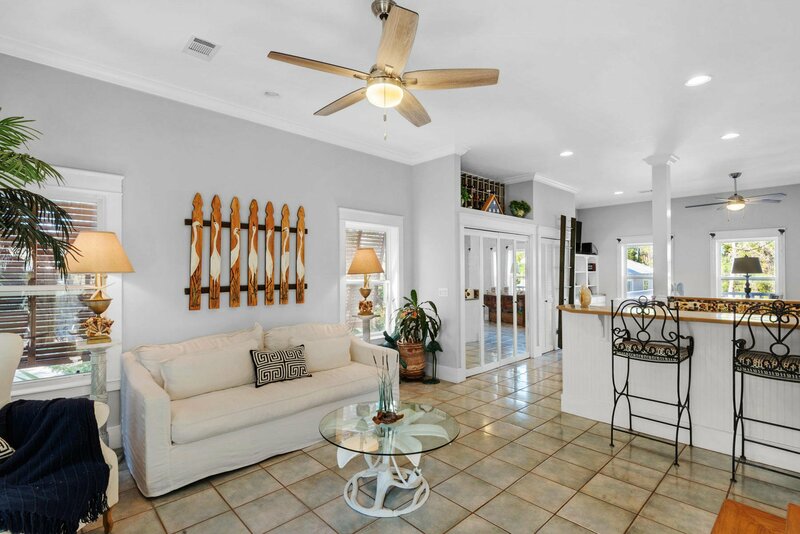 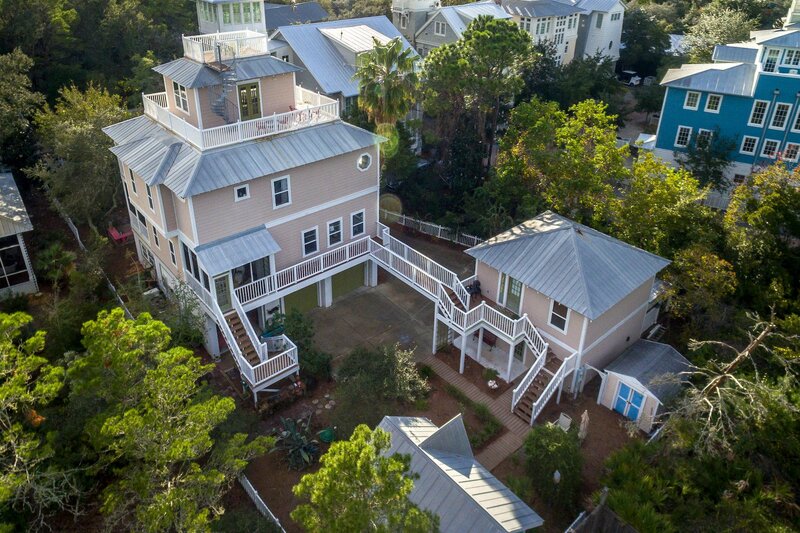 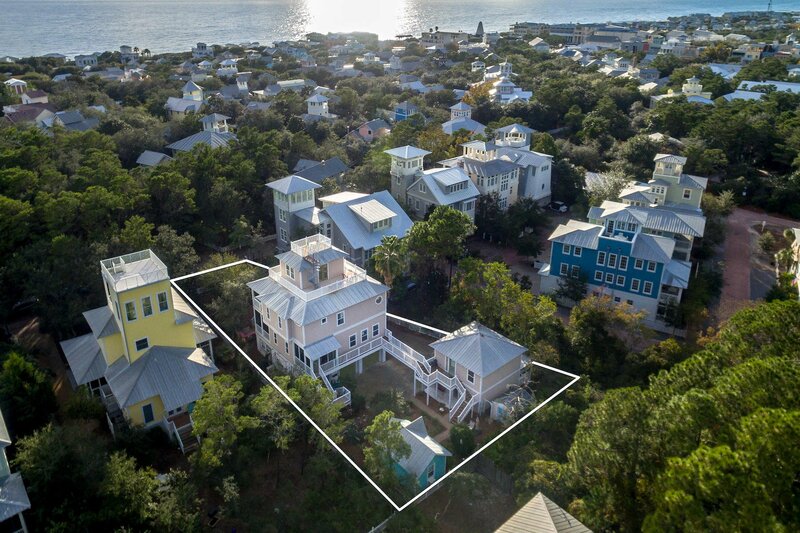 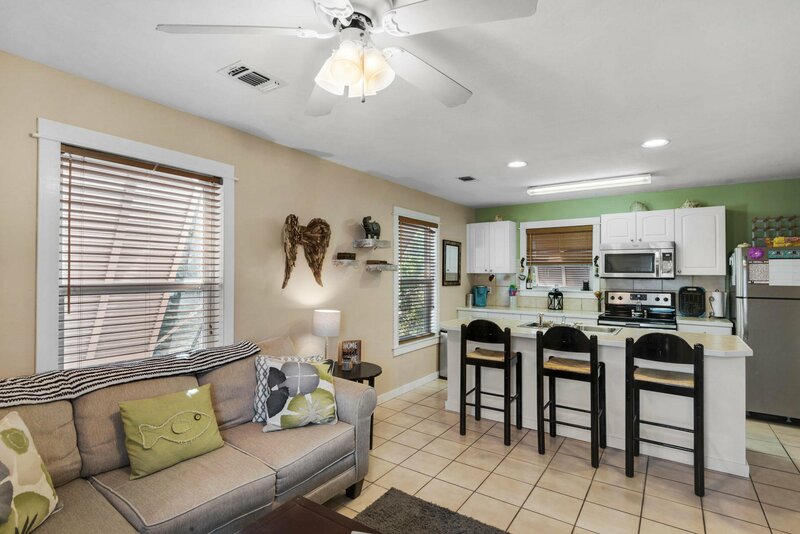 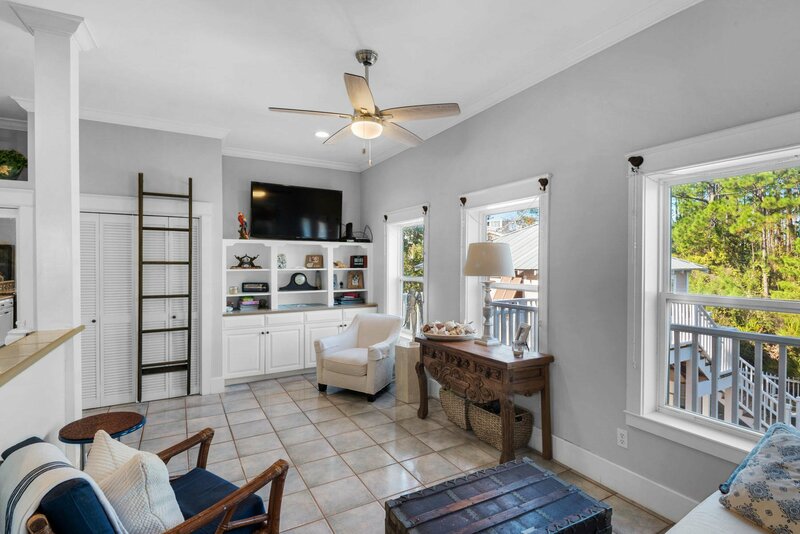 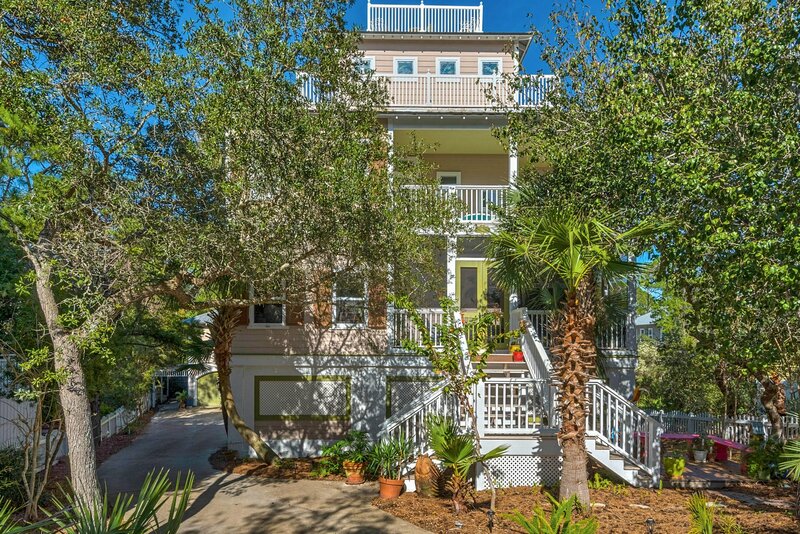 The 3rd floor has 3 bedrooms, 3 baths, and leads up to a 4th story loft with rooftop observation deck overlooking Seagrove, Seaside, and the Gulf of Mexico. 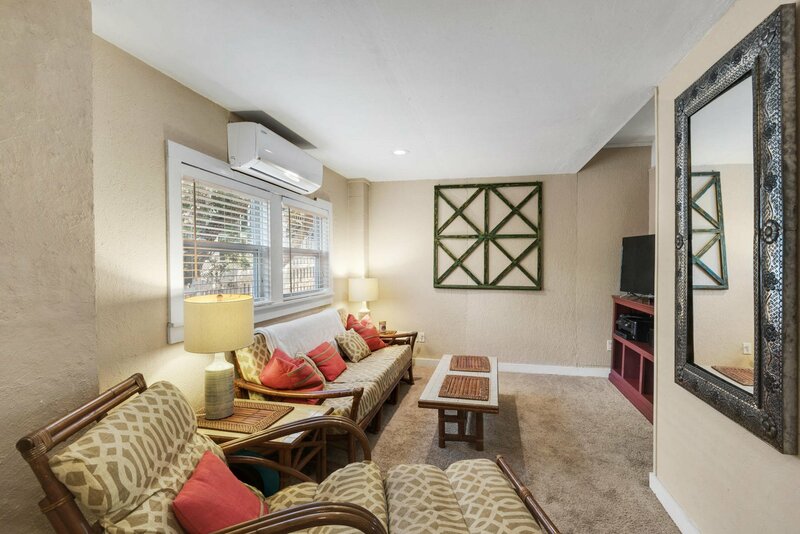 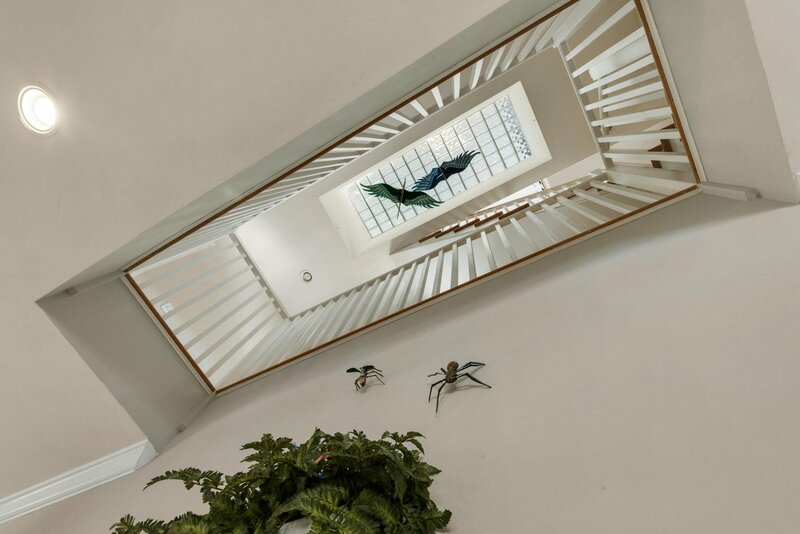 The ground floor of the main house has a 2-car garage and also a one-bedroom mother-in-law suite, with living room and full kitchen, which can be accessed internally or externally to provide rental income (currently rented) or an extension your home's living space. 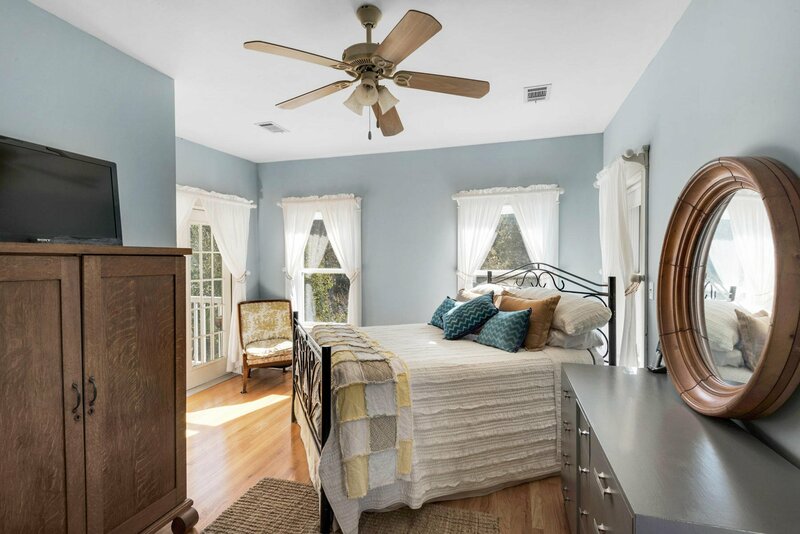 Behind the main house is a detached 2-car garage with a 1-bedroom carriage house, with full kitchen and living room above, which is also currently used as a rental. 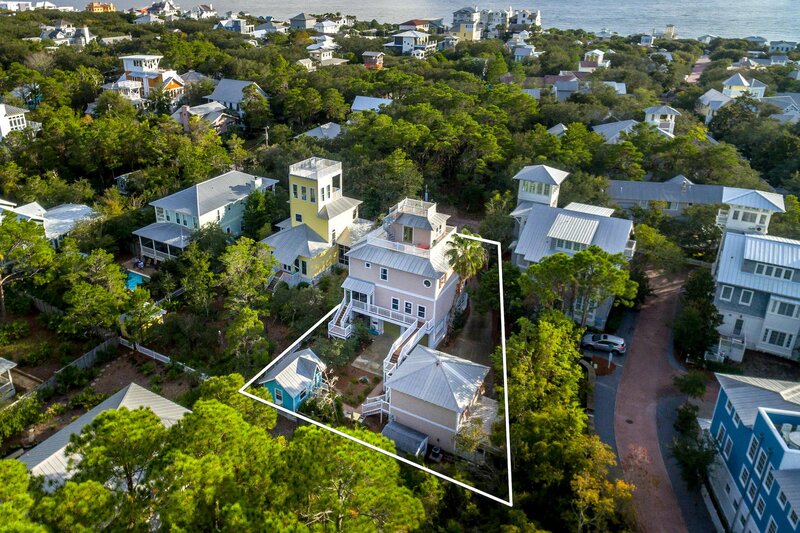 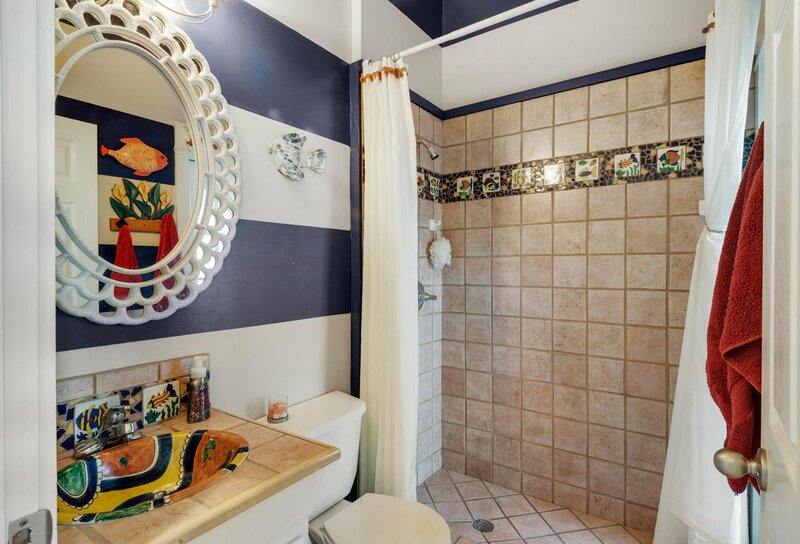 This house has ENDLESS POSSIBILITIES and with multi-million dollar homes all around, too! 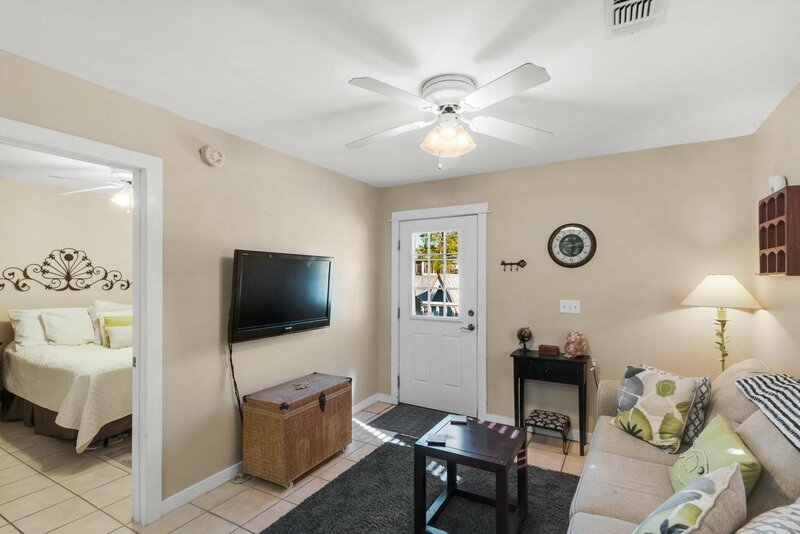 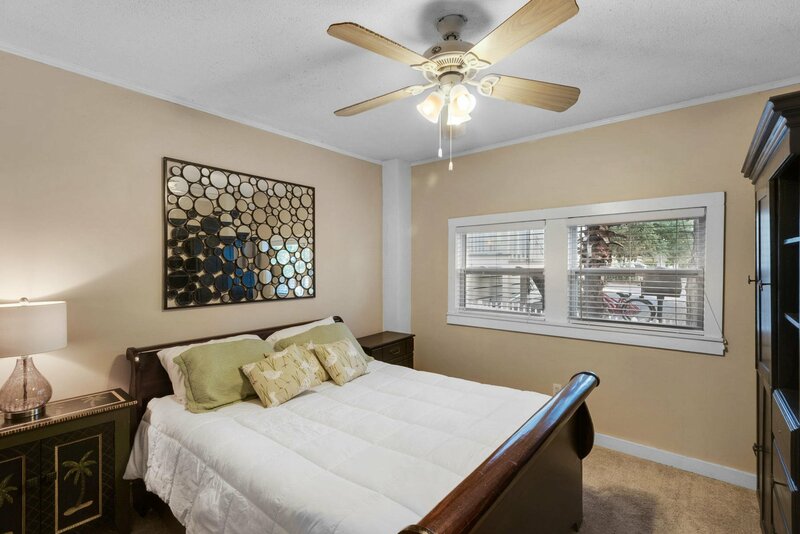 Call today to see this gem!